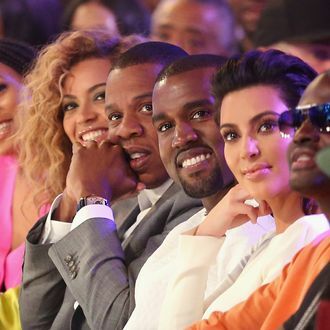 Before we skip to the actual “I’mma let you finish,” please note that the Carters were collectively nominated for four out of five videos in this category, and also that they are totally adorable when competing against each other (the boxing!). 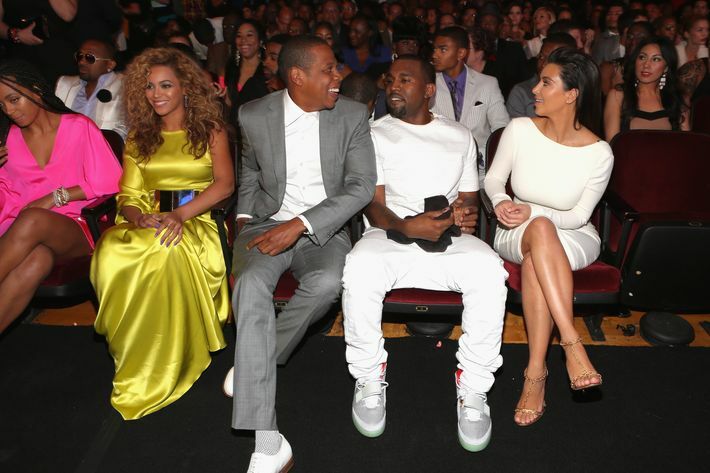 Also of note: Jay and Kim are not exactly friends just yet, if that frosty head nod is any indication. But you’re here for the Taylor Swift callback, which happens around the 2:30 mark. In addition to bringing out a stage-size Lambo and his G.O.O.D. music pals for “Mercy” and “Theraflu,” Kanye went off book for a two-minute a cappella debut of “New God Flow.” Whitney gets a shout-out. Maybe she was Big Sean’s alternate for “Mercy”? Plus a surprise intro from Mariah Carey. We would’ve accepted “Twisted,” too, but yes, Usher! Keep performing the good songs.